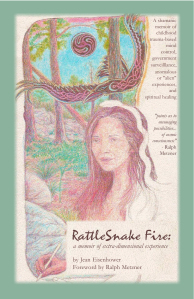 These dressy/sacred, natural-fiber handbags and medicine bags were crafted of recycled natural-fiber velvets and velours, roadkill rattlesnake skin (cured myself with vegetable glycerine), gold glass beads, and cotton, rayon, and silk threads and cords. 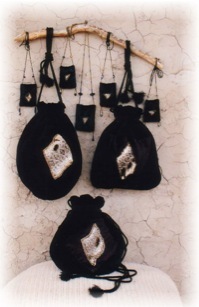 A series of 13 large bags and eight medicine bags was created in 2003-4, juried into a few art shows. Two purses remain, now in the Southwest Fiber Arts Collective’s retail gallery, The Common Thread, in Silver City. 2002-3. 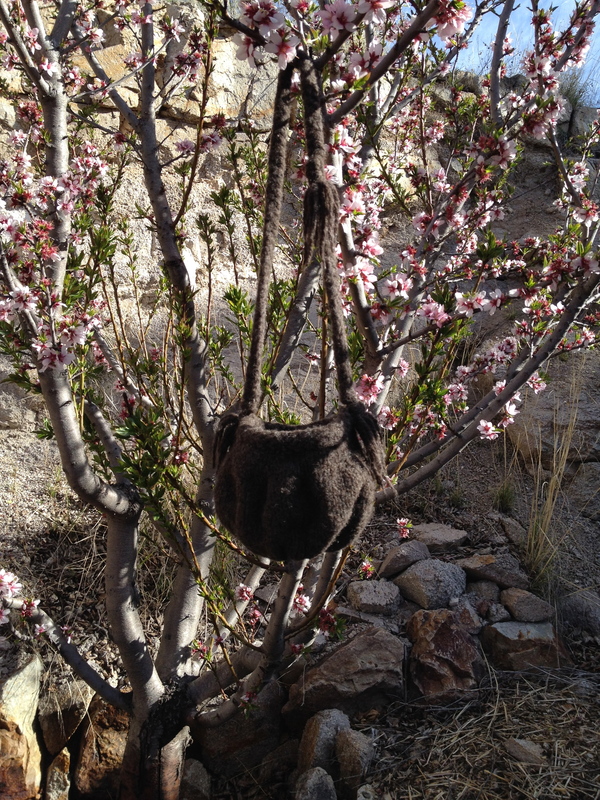 “The Bird Nest Bag,” of natural, un-dyed, Peruvian “eco-wool,” hand-knitted and hand-felted for strength, March 2015. 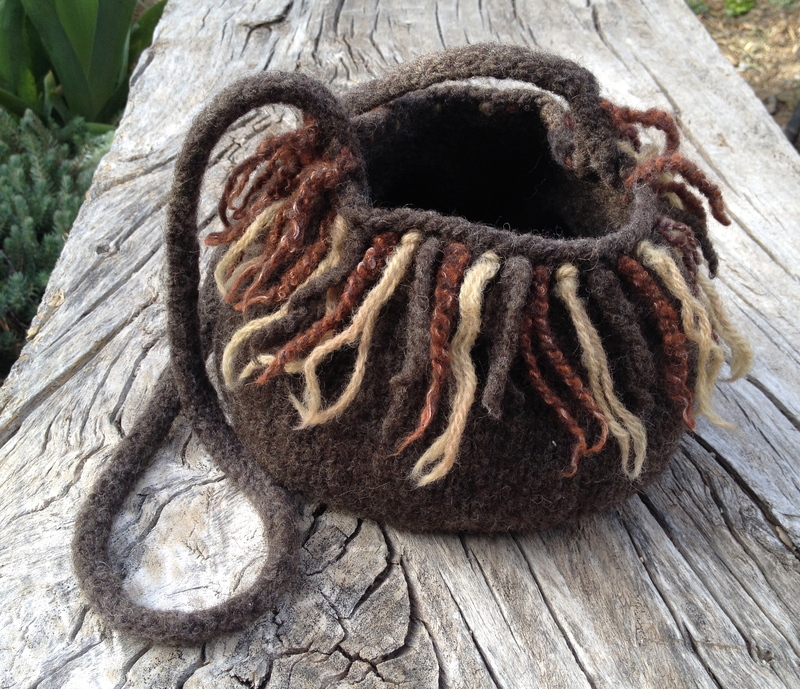 “The Gnome Bag,” of natural, un-dyed, Peruvian “eco-wool,” hand-knitted and hand-felted for strength, with rolled top, tassels, and button closure (not shown), March 2015. 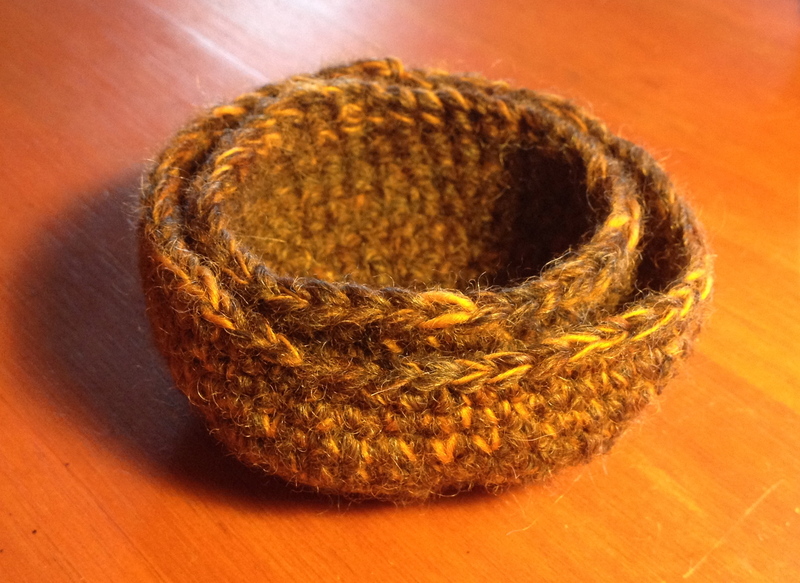 Two small knitted bowls of locally hand-spun yarn, March 2015. For jewelry, rings, or even daily supplements to be pretty on the dining table (the larger can be used as a cover), March 2015. “Beaded Britches,” of reclaimed fabrics (“up-cycled” from items that lost their previous use), with beaded and embroidered pockets depicting the model’s (Asante Riverwind’s) Celtic totems. April 2003. 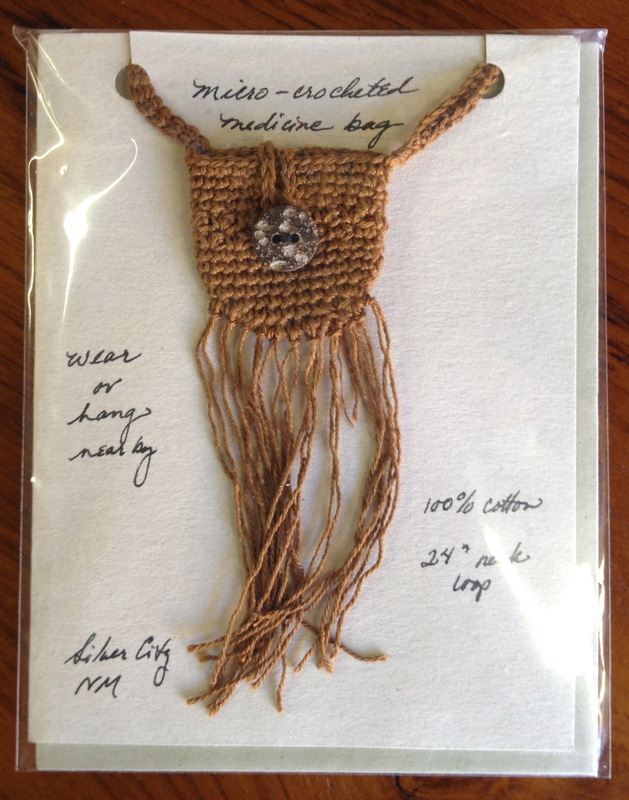 Small medicine bag, micro-crocheted of fine cotton cord, March 2015.